The value of a university education is something that is difficult to calculate, and this list of best value universities strives to factor in financial information provided from reliable sources. Those sources are Kiplinger's Best Values in Private Colleges and Kiplinger's Best Values in Public Colleges, which were used primarily for the total cost of attendance and average student debt figures; and Payscale's College ROI Rankings which was used for the figures on each college's 30 year net return on investment (ROI). There are many factors that play into the success of an individual that have nothing to do with where or if they attend college. This list is not a guarantee. This list is designed to act as a guide for students as they consider what kind of college they wish to attend. Earnings depend very much on the degree that is earned, and the ambition and ability of the person who earns the degree. So just getting into one of these schools doesn't guarantee that you will make the average earnings of graduates from that school. There is no perfect system for ranking colleges by any standard. All such ranking systems are subjective. This ranking system prizes a low average student debt, and a high average 30 year net ROI. The reason behind this is simple. The low average student debt is important because every student, regardless of their future career, benefits from graduating with as little debt as possible. Even if a student does not choose a career that will earn the average 30 year net ROI of a given school, the lower their debt, the better their life. This is why we factor in the average student debt separately even though it is already factored into the average net return on investment. Schools are presented in ascending order by ROI. The schools listed here represent a wide range of options. This list is intended to function as a guide. Many schools have comparable statistics to the ones listed here. The schools on this list represent different kinds of schools and the values one can find there. Not everybody can get into the Princetons and Browns of the higher education system. This list includes both very exclusive, high level universities, and very accessible universities many might not even have heard of that still offer a great value to students. This school represents the value that can be found in a more average university. The school is ranked just outside the top 100 among national universities and just outside the top 50 best public schools in the country. The average student debt at the University of Buffalo is still significantly lower than the national average. This school demonstrates effectively that great value doesn't necessarily go hand in hand with exclusivity. High value schools are an attainable aspiration for the majority of college bound students. Drury is a private liberal arts university. One of the more affordable universities of this kind, both the total cost and the average student debts are impressive. The 30 year net ROI is on the lower end, but still strong when considering the other factors. One of the most affordable best value universities on our list, the out of state prices for Appalachian State are lower than many public schools' in state prices. Low average student debt is another factor, and while the 30 year net ROI isn't the most impressive on this list, this is the single most accessible university. The University of North Carolina at Chapel Hill is one of the top overall schools in the country and the fifth best public university. These impressive rankings combine with competitive total cost per year (downright cheap in state and the out of state cost is still below average for schools as well regarded). The school is more accessible than many private schools of comparable quality. The University of Richmond features a reasonable acceptance rate and a great 30 year net ROI for a university with a liberal arts focus. UR is a great choice for students interested in the unique education offered by such a school. The Robins School of Business is ranked in the top 20 for international business by U.S. News. The University of Richmond also appears on our list of the Top 25 Liberal Arts Colleges With the Best Return on Investment 2014. The California state university system boasts many top quality universities. 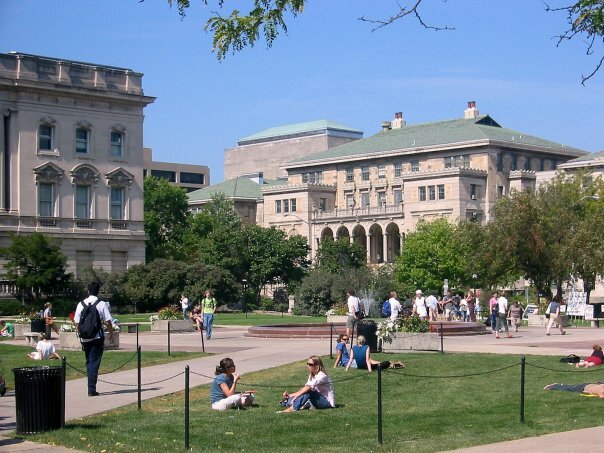 These public universities are often much more accessible than the top rung private universities. Their statistics regarding value however, are just as impressive. The California State University Long Beach is one of these high value universities. The school offers quality programs, low student debt, and a high 30 year net ROI, making it a great choice for many. The numbers tell a compelling story when looking at the University of Florida. Strong accessibility, low student debt, great 30 year net ROI, all rolled into one of the top schools in the country, public or private. These are the hallmarks of a school that is doing something right. The school recently jumped three spots in U.S. News and World Report's ranking of public schools, from #17, to #14 in the nation. The in and out of state prices at the University of Wisconsin Madison are exceptionally low compared to other top schools. The average student debt is lower than average and the 30 year net ROI is exceptional. This combines with one of the highest accessibility rates on our list to make the school a fantastic choice for students seeking an accessible and high value option. Loyola University Baltimore is a private Jesuit university. The Jesuit tradition has been known for its high quality of education for centuries. Loyola Baltimore is expensive, and its average debt is slightly above the national average, but the school is welcoming to a wide variety of students and one of the more accessible schools on this list. SUNY is New York's state university system. This system rivals California's for schools with strong financial value statistics and Binghamton is one of the best. SUNY Binghamton's quality really sets it apart when considering accessibility. This school isn't as famous as many of the top rung public schools, but the quality of education offered is very high and students can expect to graduate with a high performance degree and lower than average debt. One of the flagship universities of the California state university system, UCLA is well known for its high quality programs. While the total cost is much higher than your average public university, the average student debt is still well below the national average while the 30 year net ROI remains high. One of the best schools in the country, the University of Washington is extremely accessible and is tangible proof that you don't have to be exclusive to be successful. The University of Washington features reasonable prices, lower than average student debt, and a 30 year net ROI that competes with the best schools in the country. The University of Washington offers a high quality education and an extremely high value. Less formally known as Cal Poly, this school's primary focus is on engineering, mathematics, and the sciences. While the school does have a strong liberal arts major, the focus of the school is on high level research in these technical and scientific fields. The school has a reputation for excellence in these fields that, combined with affordable in and out of state rates resulting in low average debt among students, leads to the high 30 year net ROI among graduates. Founded in 1819 by Thomas Jefferson, the University of Virginia has one of the richest academic traditions among public universities in the United States. Now a major research university, the financial statistics are top of the line among the top public schools, and definitely strong enough to compete with many of the best private schools in higher education. BYU is an incredible deal. Not only is the total cost per year the lowest of private colleges on this list, but the average student debt is also incredibly low. The 30 year net ROI is impressive. BYU stands as an example of a school that offers a top of the line education, accepts the majority of applicants, and charges very low prices. Proof that it can be done. 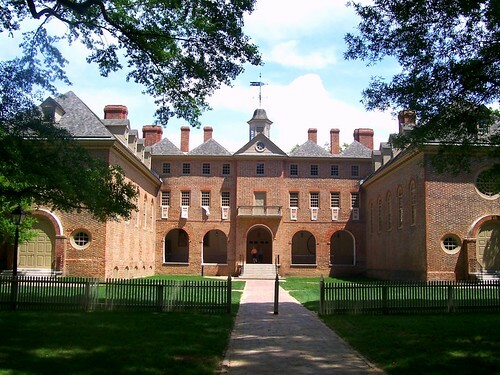 The College of William and Mary is a unique force in the higher education system. This public research university is the second oldest university in the United States, founded in 1693 and is considered to be a "Public Ivy". The school combines all the educational excellence of an Ivy League school with the accessibility of a public institution. The cost for in state students is less than half what one would expect from a private top rung university, and even the out of state tuition still comes in under the average among top schools in the nation. The school is ranked #32 among top national universities by U.S. News and World Report. With a low average debt among graduates and exceptionally high 30 year net ROI, especially among public universities, this school is definitely one of the best values in higher education today. Another one of the best known private schools in the country, Brown has recently committed to fully meeting every student's financial need. This can be done through loans, but as you can see, the average indebtedness of Brown graduates is still $8,000 below the national average. U.C. Berkeley is the top public university in the United States and one of the top 20 schools in the country overall. Its financial statistics are competitive with the top best value private universities. The 30 year net ROI is among the best in the country for universities with a great diversity of programs. Vanderbilt is another expensive university with strong financial aid. The aid packages allow the average student debt to sit about $10,000 lower than the national average. Vanderbilt's schools of education, engineering, and management are some of the most highly ranked in the country. Rice University is one of the best private universities in the country, and certainly one of the best values for those considering top of the line schools. Rice is also more accessible than many top schools, accepting 19% of applicants into the school. Rice has a high 30 year ROI, and a very low average student debt. While the tuition isn't necessarily cheap, it is certainly well below that of many of the other top schools in the nation. Rice offers a great value, without sacrificing the quality of education in the least. The University of Pennsylvania is a strong example of a top level, exclusive university and why they are considered to be one of the best values despite their high tuition. Universities like UPenn often seem to be very expensive, and if you are just considering the sticker price, they are. Despite the high cost of tuition and room/board at the University of Pennsylvania, the school can still be considered a great value. This is due to many factors that come together in such a way that the average graduating senior finishes school with much less student debt than the national average, and a higher than average 30 year return on investment. These factors include the quality of education offered at UPenn, and the extensive financial aid options available to students. Princeton boasts one of the lowest average student debt rates for graduating students in the country. The financial aid department at Princeton strives specifically to help students avoid having to borrow any money, and the ones who do borrow, don't have to borrow much. The exclusivity of the school is its primary limiting factor, but if you can get into Princeton, it is without a doubt one of the highest value schools in the nation. Notre Dame is a Roman Catholic University. The school boasts one of the highest 30 year ROIs on this list, even edging out Princeton by a small margin. The average student debt is slightly higher than the national average, but the value of the education after graduation more than makes up for the debt incurred. Cal Tech is one of the premier research institutions in the United States, boasting a faculty consisting of many of the most brilliant minds in their respective fields. It possesses an incredibly low average student debt for a university that puts so much money into research. The 30 year net ROI is the highest on this list.